HIMSS16 begins on Feb. 29th at the Sands Expo & Convention Center in Las Vegas. If you are attending, make sure you visit with SBMI faculty, students and staff at Booth 12518 during the conference. If you cannot make it, follow SBMI’s social media networks as we keep you in the know regarding all things HIMSS16. As a result of SBMI’s continued growth, school leaders determined a request was needed to change the tuition structure for non-resident students. With the goal of offering an affordable and high-quality education to our students and future students as well in mind, a request for modification to the non-resident/out-of-state student tuition policy was made to The University of Texas System Board of Regents in the fall; that request has recently been approved. As it stands, the school charges out-of-state students a flat fee of $750 per semester credit hour for Alternative Instruction for Web Courses. Effective summer 2016, the flat fee will no longer be assessed and the non-resident tuition rate will be $736 per semester credit hour. This means that SBMI students who are non-residents residing in Texas or those residing out-of-state will be charged the standard non-resident tuition rate, in conjunction with the standard fees charged to all students taking courses online. As stated, this change will be effective for all enrolled students as of summer 2016. If you have inquiries regarding this change, please send those questions to SBMIAcademics@uth.tmc.edu. Current SBMI students have the opportunity to learn valuable job search skills and interact with employers at the annual Career Day on March 16th. Students can participate in this informative event where they will learn how to build a strong resume, how to effectively utilize social networking sites like LinkedIn and best practices for interviewing. A new feature to Career Day, that was added last year, will be continued this year as our staff will offer free headshots so SBMI students can use the photos to elevate their professional networking profiles, websites or job search tools. Career Day will be open to both SBMI students and alumni for the employer session from 3:30 to 6:00 p.m. on the same day. Various employers from the TMC and beyond will be in attendance to discuss job opportunities at their organizations. Attendees of the employer session are encouraged to bring several copies of their resume and dress professionally. Current SBMI students can register to attend online on the Career Day website and registration will close on March 11th. Please email the Office of Academic Affairs at SBMIAcademics@uth.tmc.edu if you have any questions. The Student InterCouncil (SIC) is awarding three $1000 scholarships to current UTHealth students. For more information and instructions on how to apply, go to: https://www.uth.edu/SIC/scholarships.htm. The application deadline is 4 p.m. on Friday, March 18, 2016. All application materials must be submitted to Martha (Kathy) Rodgers, Office of the EVP for Academic & Research Affairs, UCT 1565D. Yonghui Wu, Ph.D., M.S. has joined the School of Biomedical Informatics (SBMI) as a non-tenure track assistant professor focusing on research. Prior to holding his new role, which began on Jan. 1, Wu served as both a research scientist, from 2014 to 2015, and a postdoc research fellow, from 2012 to 2013. During both tenures Wu worked with SBMI Professor Hua Xu, Ph.D. on several grant funded research projects. 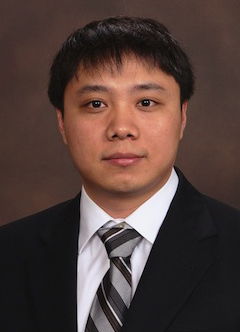 Before coming to SBMI, Wu served as a postdoc research fellow at Vanderbilt University from 2010 to 2012. Natural language processing, machine learning, text/data mining and pharmacovigilance are all research interests for Wu. He recently developed an enthusiasm for designing deep learning algorithms to leverage big data in medical informatics research. Wu is currently working on a Cancer Prevention & Research Institute of Texas (CPRIT) project that focuses on using electronic health records for repurposing existing drugs for cancer treatment and exploring interactive machine learning methods for clinical natural language processing via a National Library of Medicine (NLM) funded grant. The application must be submitted by 5 p.m. (CST) on March 18, 2016. Submit all applications and materials to Anne Park at akpark@mdanderson.org. Only email submissions will be accepted. Please visit the HIMSS Houston Chapter website for all required application materials. The SBMI Alumni Association will host three “Thought Leadership Lunch and Learn” sessions this semester. The events will be from 11:30 a.m. to 12:30 p.m. in UCT 1414 and the first 30 attendees will receive free lunch. The discussion will include an overview of electronic health information exchange in the state of Texas, the current local health information exchanges servicing different regions of Texas, and “HIETexas,” the thin-layer, state-level HIE that supports health information exchange across Texas. March 3rd - Jason Phipps, Texas Health and Human Services Commission, is speaking on the Texas Beacon project EDEN (Emergency Department Event Notification). March 24th - David Fulton, DSHS State of Texas and SBMI alum, is speaking on a project to drive a statewide increase of providers using electronic prescribing of controlled substances (ePCS). It will also cover important trends, challenges and describe work Texas Medicaid and stakeholders statewide are doing to increase ePCS in Texas. If you cannot attend the sessions in person, you can join in via live webcast at go.uth.edu/LiveSeminar. On March 2 from 11:30 a.m. to 12:45 p.m., the TMC Library will host a “Student Appreciation Day” event to recognize students from TMC schools. Free food, live music and giveaways will be on hand. SBMI students who want to attend will need to bring their student ID. The event will be in the TMC Library Lobby (1133 John Freeman Blvd, 77030). A Healthleader article focused on collaboration between health care professionals was recently published and it includes quotes from both Associate Professor Juliana Brixey, Ph.D., M.P.H., R.N. and Assistant Professor Angela Ross, D.N.P., M.P.H. Associate Dean for Applied Informatics & Associate Professor, Robert Murphy, M.D., recently participated in a FOX 26 News Health Watch interview and he discussed the benefits of using online patient portals to access health information. Professor Dean Sittig, Ph.D. was quoted in a Health Data Management article on the importance of e-health record systems being compatible with other systems. Dr. Sittig was also featured in an iHealthBeat.org article on the misuse of electronic health records.